I am obsessed with dark chocolate lately. Dark chocolate chunks in my Almond Butter Cookies, a dark chocolate dip for my Crisp Polenta Fingers… Last night I took it one step further and made these oh, so decadent spicy chocolate ganache tarts, with no-bake pie crust. One delicious way to kick off the weekend! Raw pie crust is pretty far from the traditional French way to bake, and yet I find no-bake tarts truly fascinating. Suddenly it is so easy to create a completely natural gluten free (and vegan) crust. 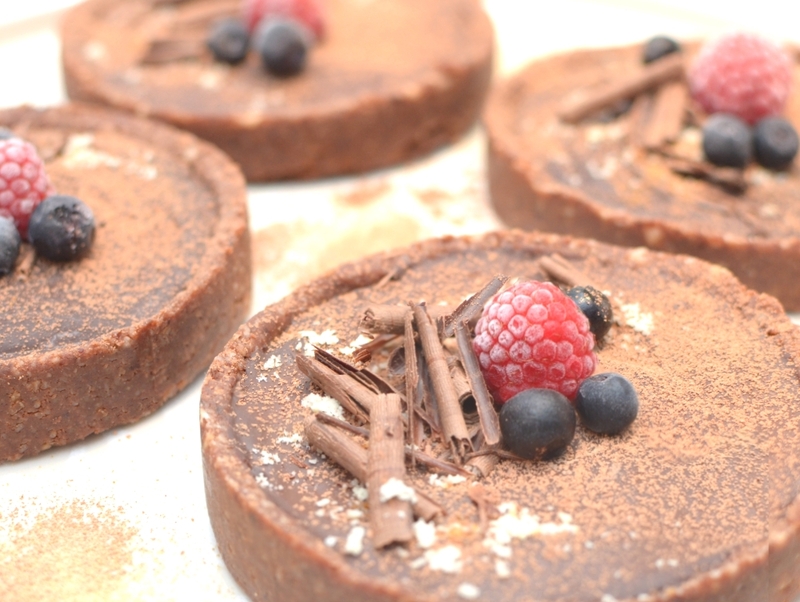 For my spicy chocolate tarts, I simply mixed almonds with millet flakes, cocoa butter and fresh dates et voilà! A perfect moist and sugar-free crust that holds its shape after refrigeration. It could hardly be easier – apart from holding yourself to nibble on that delicious crust. Next comes the filling: when I eat chocolate tart, I expect a rich and intense chocolate flavor. So I used a ganache, made of dark chocolate and almond cream, accented by cinnamon and ground cayenne spices. The result is an amazing truffle-like dense filling, that tastes just like heaven for any chocoholic! 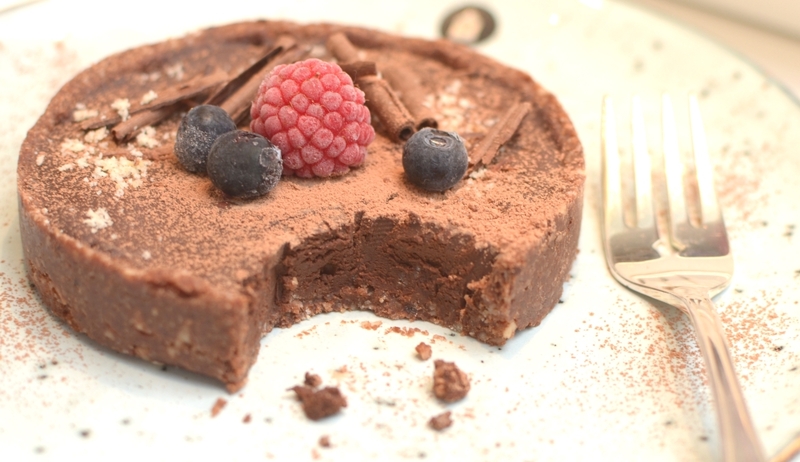 A decadent no-bake spicy chocolate tart. Gluten free and vegan, with a truffle-like ganache filling that tastes like heaven for any chocoholic! Soak the pitted dates in warm water for 10 minutes (or more if your dates are very dry). 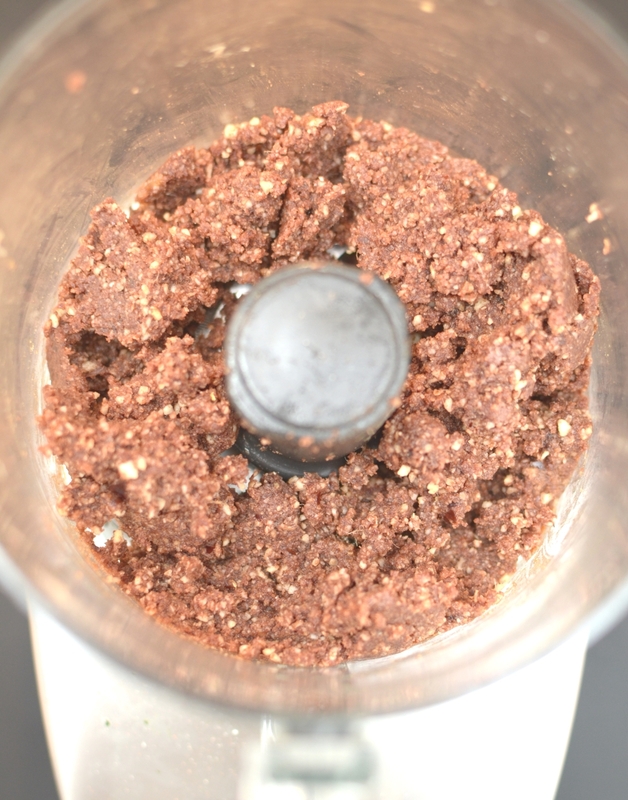 Grind the almonds and millet flakes into a fine but not powdery meal in the food processor (small bits of almonds can remain). Add the cocoa powder, salt, cinnamon and ground cayenne (start adding a pinch and add up to your taste). Melt the cocoa butter in bain-marie. Add to the mixture as well as the soaked dates. Process until a 'dough' forms. Press into tart pans until flat with edges up. Cover with plastic film and refrigerate. Prepare the ganache: chop the chocolate finely and place in a bowl. Heat the almond cream in a saucepan then pour it on the chocolate. Stir until melted and smooth. Pour the ganache onto the chilled pie crusts. 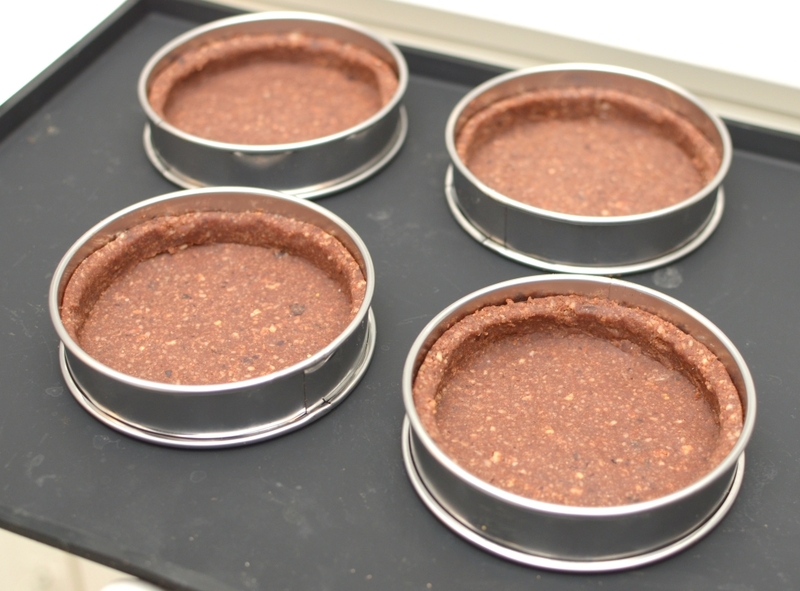 Refrigerate the chocolate ganache tarts for 1h. Garnish with chocolate shavings and berries and serve chilled.